I am also a big journaler. So what do you get when you cross lists and journals? A very happy Roben-Marie, that’s what. Aside from keeping your life organized, lists are a great thing to add to your art journal spreads. Tweet It! Many of my students struggle to bring the journaling into their art journals - the actual writing part, I mean. And one of the tips I give them is to incorporate lists onto their pages. These don’t have to be shopping lists, or to do lists, or lists that you would actually use. 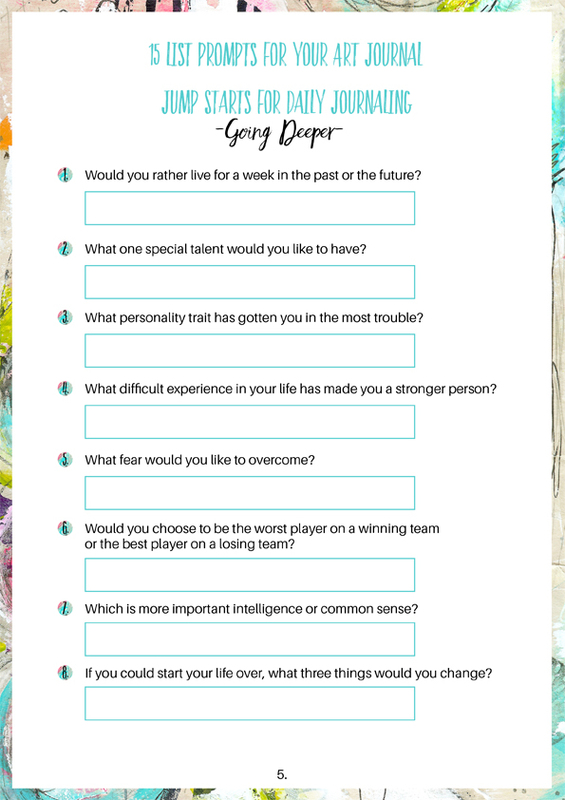 They could be lists of your favorite things, or lists of your dreams and thoughts. The idea is just that you take the pressure off yourself, and write down a few words. These words could be covered up completely by paint or collage. They could form part of one of your journal layers. They could even become the focal point of your page. That’s up to you. 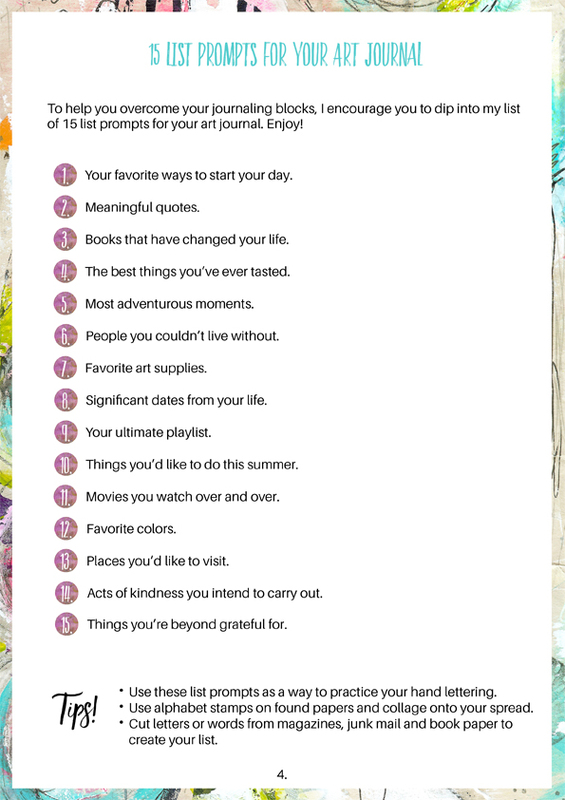 To help you overcome your journaling blocks, I encourage you to dip into my list of 15 list prompts for your art journal. Tweet That! Your favorite ways to start your day. The best things you’ve ever tasted. People you couldn’t live without. Significant dates from your life. Things you’d like to do this summer. Movies you watch over and over. Places you’d like to visit. Acts of kindness you intend to carry out. Things you’re beyond grateful for. Use list prompts as a way to practice your hand lettering. Tweet That! Use alphabet stamps on found papers and collage onto your spread. Cut letters or words from magazines, junk mail and book paper to create your list. Have fun with these ideas!! 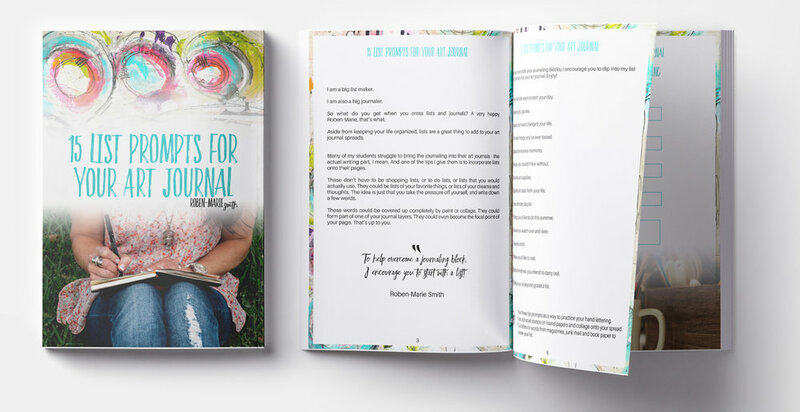 21 Jump Starts for Daily Journaling Tweet It!